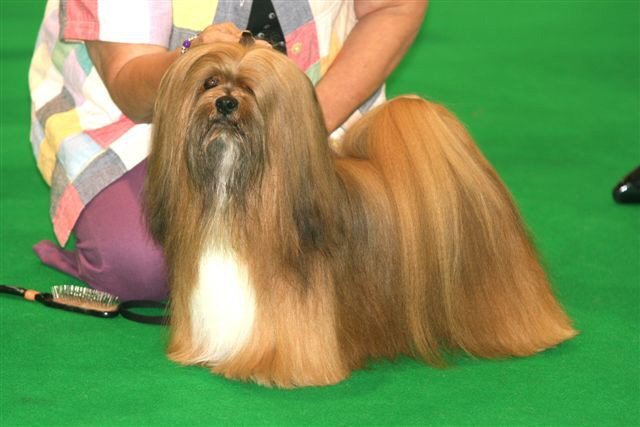 The Lhasa Apso is a small, hardy little dog that came, originally from Tibet "the roof of the world" as it is known. It is a really old breed & was probably around 800 years before the birth of Christ. Lhasa Apsos were kept by the monks in the monasteries as an "early warning system", if intruders managed to get past the Mastiffs outside the Apsos would soon sound the alarm! They were never sold, but given as gifts & considered bringers of good fortune & valued so highly they were guarded as they could be the target of thieves.